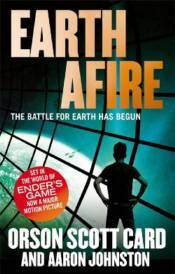 One hundred years before ENDER'S GAME, the aliens arrived on Earth with fire and death. This is the story of the First Formic War. Victor Delgado beat the alien ship to Earth, but just barely. Not soon enough to convince sceptical governments that there was a threat. They didn't believe that until space stations and ships and colonies went up in sudden flame. And when that happened, only Mazer Rackham and the Mobile Operations Police could move fast enough to meet the threat. . . Following EARTH UNAWARE comes this thrilling second novel in the Formic War series.